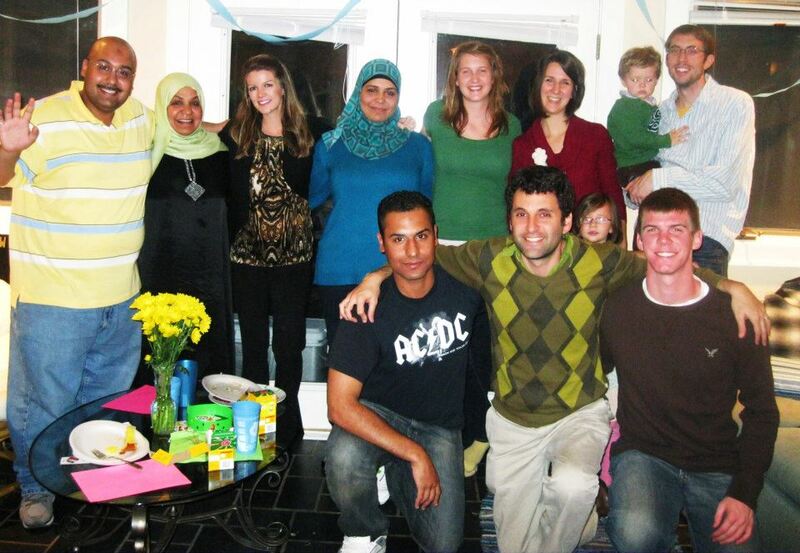 Since moving to North Carolina from Switzerland seven months ago, I have encountered two life-changing events: working with a family of Iraqi refugees through the organization World Relief and discovering that my wife is pregnant with our first child (a son, due now in a few weeks). With the former, my eyes have been opened in new ways to a culture which has always intrigued me. With the latter, I am experiencing many of the excitements and fears that most first-time parents go through, including already thinking about his future education. Ironically, these two circumstances have reinforced my views on experiential learning. Before I delve into the logic, first the background on the family from Iraq. Our Iraqi refugee friends, a mother and three children in their early to mid-twenties, have become like family for my wife and I. They re-located to the United States at about the same time we moved from Switzerland. This was one point of connecting, though the reasons for our respective moves to the United States couldn’t be further apart. We moved for the comfort of one job over another. They moved for security and their lives. Following a family tragedy that resulted from the instability in Iraq, the family fled to Syria. There, things were no better – they were oppressed and felt a similar degree of insecurity and hence applied for refugee status. Despite their difficult circumstances and enduring the trials of moving to a new country without a dollar in their pocket, little knowledge of the English language and facing the daunting task of finding employment in a tough job market, the family’s resilience and optimism serves as a positive example and reminder about what is really important in life. While they don’t possess any formal schooling, my wife and I have been been most fortunate to get a first-hand education from them about life in Iraq, Arab culture and the complexities of the ongoing conflict still facing the country. It has instilled a curiosity in us to learn more about them and their background. I myself am a news junkie and have followed events in the region rather closely throughout the years. However, having the opportunity to spend considerable amounts of time with this family has in some ways re-shaped my views of the political situation in Iraq. In other ways, my close contact with them has reinforced my opinions. Regardless, it has been a unique educational process (not to mention the other benefits that go into forging relationships with those from different backgrounds). My son Luca will enter the world in about a month and several years from now, he will be in school and learn about historical events that occurred before his birth. My equivalent as a student was Vietnam, where we read a few chapters in a textbook, had a few cursory discussions in class, glossed over the atrocities for fear of this conflicting with whatever patriotic rhetoric was instilled from previous classes, and then went on our merry way. I hope Luca’s school lessons about the history of Iraq will be similar to my intimate experience with the Iraqi refugees. Ideally he will have the opportunity to meet ordinary Iraqis to hear first-hand their points of view on everything that took place: living under the oppression of Saddam Hussein, the fear of hearing the largest superpower’s rockets hitting their capital and life afterwards. It would also be good for Luca to hear other players’ first-hand points of view: US military personnel who served in Iraq, victims of 9/11 who thought that the Iraq invasion would make the US safer, conspiracy theorists and other every day civilians in the region impacted by the events of war. This is too difficult to coordinate, one might say. I think differently. Why can’t schools partner with outside organizations to bring these types of individuals into the classroom and contribute to the experience? And if finding such individuals is really that much of a challenge, how about leveraging social media channels / technology to bring into the classroom these differing points of view where students can hear first-hand from the sources themselves (not the textbook!). To make sure the learnings set in, conclude by having students write out their opinions, arrange a debate and/or have them make personal contact, be it through the community or virtually, with someone else from the impacted regions. Such exercises would be far more meaningful than reading in some textbook that Saddam Hussein was a bad guy, the US is a great country and the values of democracy. It would also be more enriching for the student experience than making them memorize some random dates that they can circle in on a multiple choice exam. These dates are usually forgotten within minutes of the school day’s final bell. Alternatively, true experiential education as described in the paragraphs above leaves a lasting impact. It sparks students curiosity and invites them to be a part of history. It inspires students to seek additional knowledge, thus opening the pathways for lifelong learning. And it helps create global citizens who care about the greater needs of the world.